Corfu food and drink is, for the most part, similar to that available anywhere else in Greece, but it does have two specialties which appear on almost every restaurant menu. Sofrito is a veal casserole served with a white sauce of garlic, onion, pepper, wine vinegar and anything else the chef puts in to produce his version of the dish. Some serve a beef sofrito, though strictly speaking it is a veal dish. So too is pastitsáda, another island speciality – veal served in a tomato sauce with pasta. However, the veal might be beef, the pasta might be any kind and the sauce depends on the whim of the chef, so try it in different restaurants. Slightly less common, but well worth eating if you come across it, is bourdéto, a flavour-filled casserole of white fish, onions, olive oil and spicy red peppers. Another feature of dining on Corfu is its international nature. The vast numbers of tourists have created a range of restaurants to cater for them, including Italian, Chinese, British, French and Indian. Most of the chefs are Greek or British, and as adept at producing a chicken vindaloo as a plate of roast beef and Yorkshire pudding. There are several types of Greek eating establishments. Best known is the taverna, a casual place where it is usual for the diner to wander into the kitchen to see what’s cooking, rather than to order from the menu: not all the menu’s dishes are necessarily available, while the kitchen might conceal some daily specials. Another feature is the paper or plastic tablecloths which are changed after each meal, and the little tumblers which serve as wine glasses. If all the tables are occupied when you arrive, simply wait: another table will probably be produced from somewhere and set out for you. Greek tavernas are surprisingly expandable. A restaurant (estiatório) is more upmarket: you should find a proper wine glass on the table, a linen tablecloth and a surprised expression if you try wander into the kitchen. Restaurants are more likely to take bookings, whereas at a taverna you generally turn up and take pot luck. 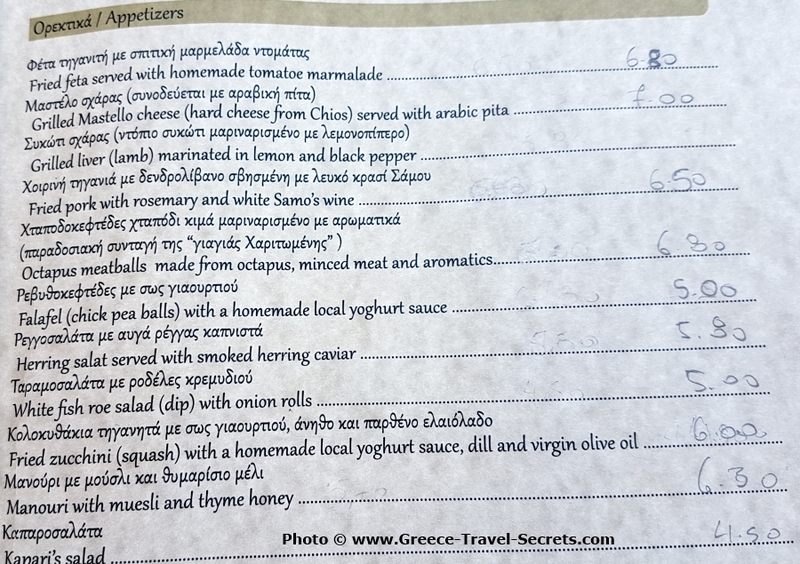 In addition to regular tavernas and restaurants, there are places serving only fish (psária), and grills (psistariés), where the menu is generally limited to freshly grilled meats – chops or kebabs – and sometimes fish. The Greek equivalent of cheers when raising a glass is yammas, and the custom is to chink the glass of everyone else at the table. This can take some time, especially as the Greeks like to do it whenever their glasses are refilled. Make sure you always touch the top of your neighbour’s glass with the top of your glass – to use the bottom is wishing a curse on the other person. Another drinking custom is the refilling of glasses whenever they are less than about half full. To drain a glass looks like greed, and to allow a glass to be empty is a slur on the host’s hospitality. Greece is not noted for its puddings. A restaurant may have a small dessert menu, but in a taverna the only choice is likely to be fresh fruit (usually watermelon) or ice cream. It is common practice to eat your final course elsewhere, at a café which serves coffee, Metaxa and sticky Greek sweets such as baklavá. The Greeks, generally, are not great drinkers and are likely to accompany a meal with no more than a can of beer or a soft drink. The pre-dinner favourite drink is ouzo, an aniseed-based drink similar to Pernod, which is served with a tumbler of water. 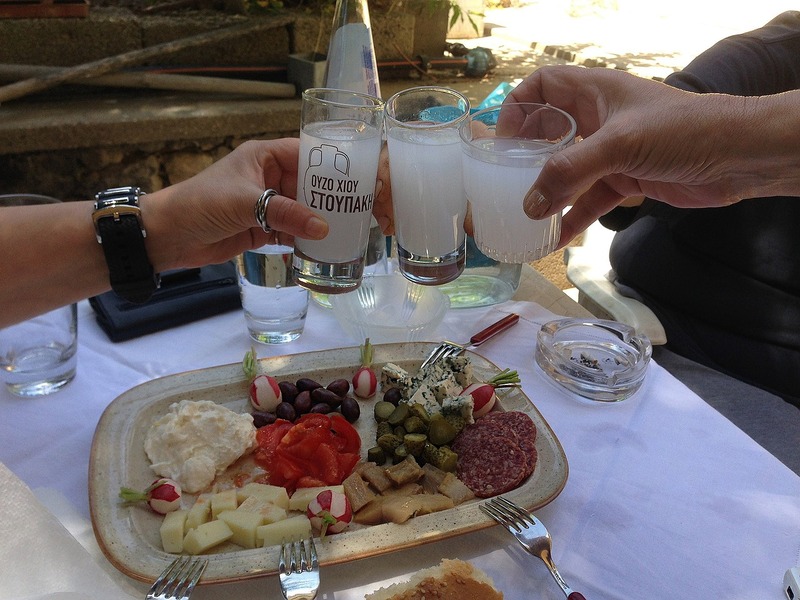 You can drink the ouzo neat, taking an occasional sip of water, or you can dilute it by pouring water into the glass, which turns the ouzo milky. No Greek would ever dilute their ouzo. 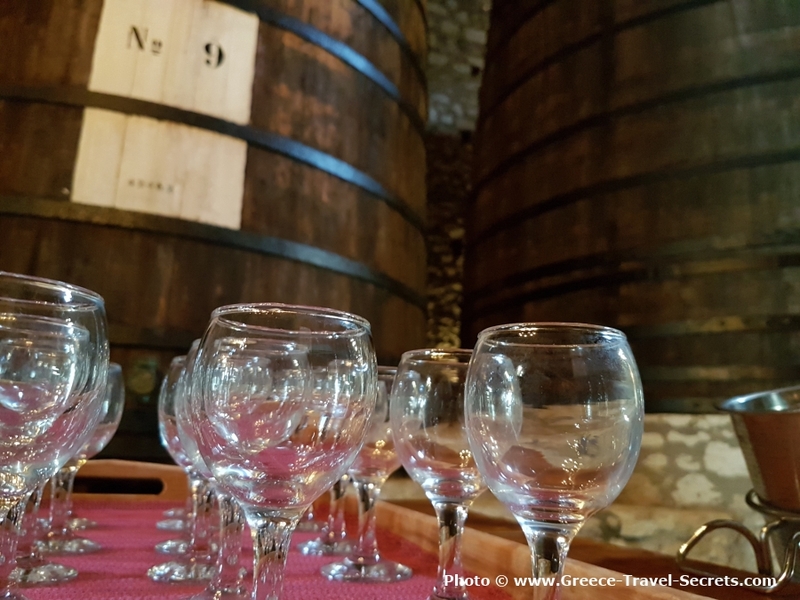 The cheapest wine available is retsina, an acquired taste – which many visitors never acquire. The white wine is flavoured with resin, originally from the wooden casks in which it was stored, but today the flavour is more likely to be added artificially. 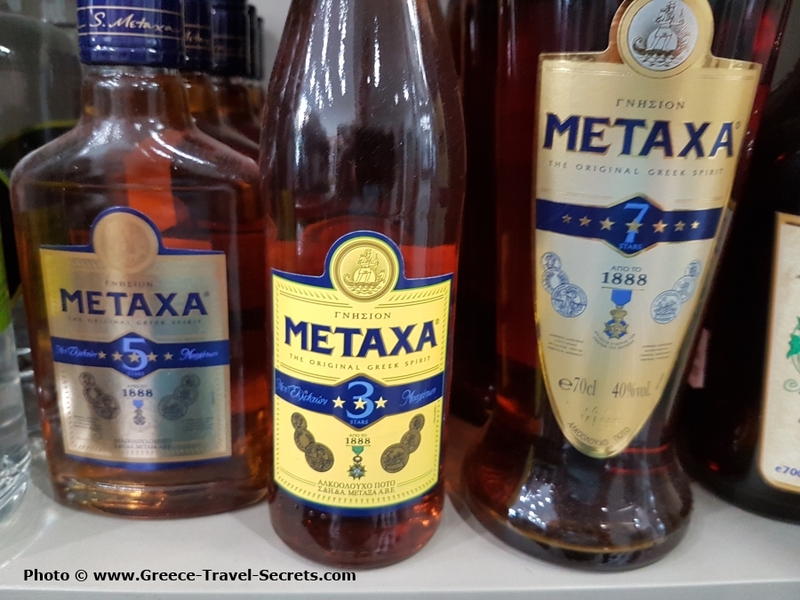 Not only is retsina cheap and available everywhere, it is in fact a good accompaniment to the oil-rich Greek food. Many tavernas serve it from the barrel, and a request for house wine may well produce a metal jug of retsina. 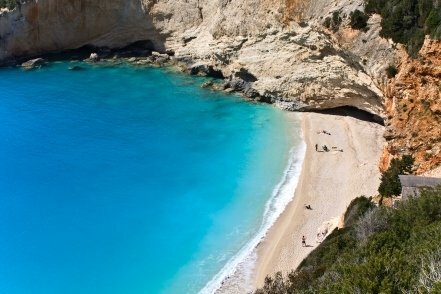 In it you have the authentic taste of Greece.